At the parking lot: share your parking site with friends and walk back together after the game. 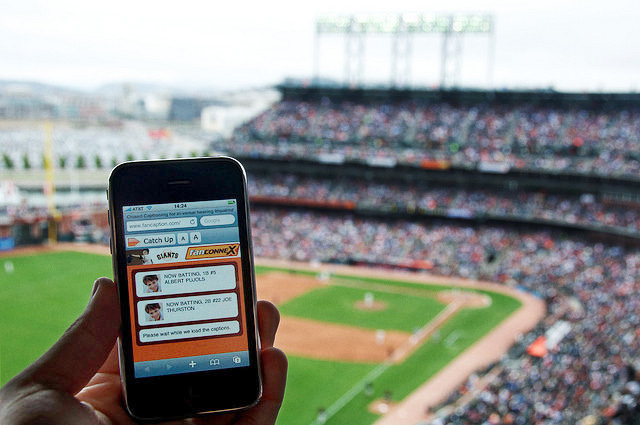 Group messaging between fans and friends: everything within the local stadium wi-fi network. Share picture and videos. Participate on the best picture contest, etc. Get streams live: from other users or the internal stadium cameras. Use your phone to make and share your own streams. Get info from the stadium: food, stores, etc. Purchase as you watch. Reduced latency and cost of central cloud.